We’re pleased to introduce darling Stella, a 2-year old spayed rabbit. Stella is curious and social, comfortable with being picked up, and enjoys being petted and adored. 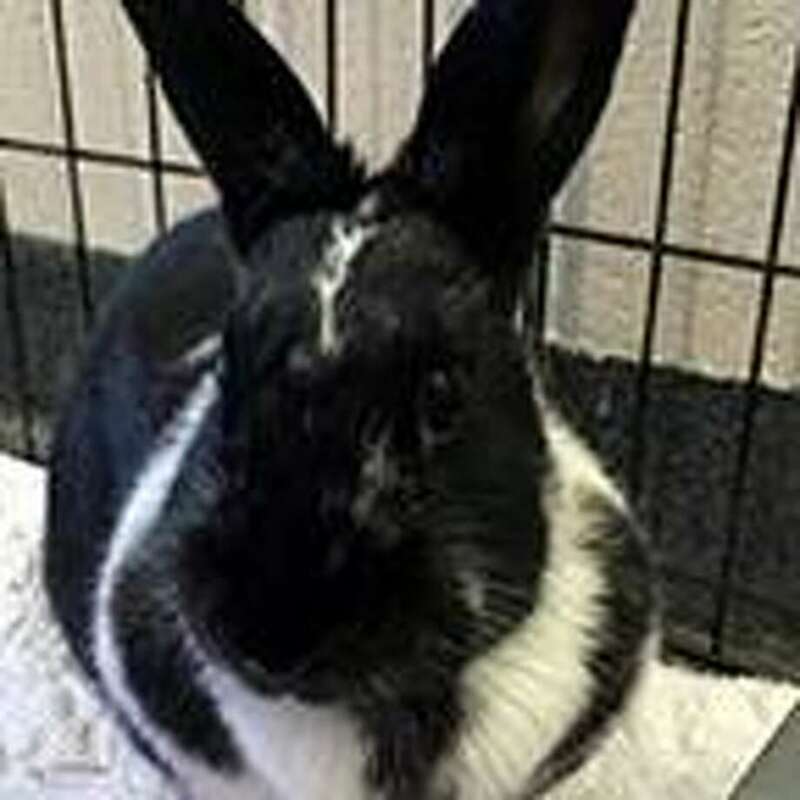 She is a small harlequin adult, with silky black ears and trunk, a white bib and paws. We have noticed that while some rabbits are most social with another bun, Stella would prefer to be the only rabbit in your home and heart. Rabbits make excellent pets for quieter animal lovers, and are particularly appropriate for our vegetarian and vegan community members as they are herbivores who love nothing more than sharing a salad with their loved ones. To meet Stella, visit the Westport Adoption Center, 455 Post Road East, Westport or call 203-227-4137.